The new Subaru Outback Estate continues a long line of evolution for this car that goes back some 25 years. In its most recent guise, it’s safer than ever, performs better off-road, and feels strong enough to last the test of time. It’s a mighty old car that will give you lots of confidence if you’ll be tackling challenging terrain frequently. Shaped like the best estates, it’s also practical and will accommodate your family – but it is lacking in the looks department. OSV takes a closer look at what it’s all about with our 2017 Subaru Outback Estate review. The Outback Estate comes into its own off the road. On it? It’s a tad dull for our liking. That said, Subaru has made an effort to improve its drivability. By stiffing its suspension setup, body lean in bends has been reduced this time around. Sure, the ride is now noticeably harsher, but it’s been sacrificed to make the Subaru a better handler on twisting roads. At speed, it feels more secure. Take the Subaru Outback Estate off-road, and you’ll get the best out of it. Its ground clearance is high, and as always seems to be the case with modern Subaru’s, its four-wheel-drive system is excellent. Opt for the automatic gearbox, and you get X-Mode. This enhances the cars traction control, which further boosts its off-road capabilities. The setting also comes with hill-descent control so that you don’t need to lose your nerve when descending steep inclines. In terms of the engines, the selection is limited to one petrol and one diesel. The latter is a 2.0-litre unit that develops up to 148bp, which is enough to haul you from rest to 62mph in 9.7 seconds when paired up with the manual ‘box. Pair the car up with the automatic transmission, and that time is nudged up to 9.9 seconds. The automatic is nice and smooth, but the rugged nature of the 6-speed manual suits the cars nature better. That said, the automatic has plenty of positive attributes. It’s a Lineartronic gearbox that’s a lot more refined than your average CVT ‘box. It’s arguably the best of its type on the market right now. The 2.5-petrol engine is your alternative. It doesn’t make as much noise as the diesel on the motorway, but it takes more time to cover the 0-62 sprint – 10.2 seconds to be exact. Moreover, it doesn’t have as much pulling power. If you’ll be using the car towing regularly, or if you’ll be tackling steep slopes, the diesel is your best bet. Anyone who bought a Subaru Outback last time around was clearly willing to put up with the bland interior. Anyone who thought hard about buying one but was put off by the cabin? Subaru realised they may have missed a trick and have given the interior a revamp. It feels a lot better built than its predecessor, and the materials used this time are of a much higher quality. However, in terms of design it’s still lacking. The buttons are scattered about the place seemingly at random, while different fonts are used for different switches. This mix ’n’ match aesthetic isn’t visually appealing and mars the way the cabin looks. A brand new infotainment system is well received, and it’s easy to use. 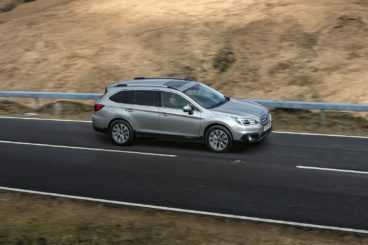 Is the Subaru Outback Estate practical? You bet. Shaped like the best estate’s, it’s able to fit five adults inside without a problem. Legroom might be an issue for super tall adults, but the dimensions are accommodating and the big windows let plenty of light in. The driver’s seat is height adjustable, the steering wheel adjusts for reach and rake, while a huge glovebox and countless cubby holes make up the excellent storage spaces. The boot, meanwhile, measures 512-litres. The loading lip is lower than last time, and you can fold the rear seats to extend the space to 1,848-litres. With just two trim levels to choose from, Subaru isn’t exactly spoiling you for choice. The entry-level SE trim gets the new infotainment system that comes with sat-nav as standard, as well as 17” alloys, LED headlights, a rear camera, tinted windows, a leather gear knob and steering wheel, heated front seats, cruise control and roof rails. The SE Premium trim rounds the range off with keyless entry, 18” alloys, an electric sunroof, a leather interior, piano-black trim and an electric boot lid. In terms of safety, the car was awarded all five stars when it was put through its crash-test paces by Euro NCAP. Standard safety kit across the range includes a seatbelt reminder, electronic stability control, airbag’s, front and rear parking sensors and ISOFIX child seat mount points. The SE Premium model also gets EyeSight crash-prevention, which has been praised as one of the most innovative safety features in cars costing more than £25,000. Prices for the new car start out from £32,995 and rise to £34,995. If you prefer to lease, you can pick up a deal from £444 + VAT per month. For more information on our leasing deals, check out our page here. In terms of its running costs, none of the engines is what you’d call impressively efficient. The turbocharged 2.0-litre engine will account for most of the sales, and it offers a good amount of pulling power while returning 50.4mpg. CO2 emissions, meanwhile, stand at 145g/km, which results in a yearly tax bill of £145. If you pair the engine up with the Lineartronic auto transmission, those numbers drop to 159g/km of CO2 and 46.3mpg. The petrol, meanwhile, emits 163g/km and returns 40.4mpg economy at best. Its rugged off-road abilities are right up there with the best in this class. It might not be the best-looking car you’ll ever see, but its shape enhances its usability. Standard kit levels are good for this price range. The most you’ll return is a 50.4mpg economy, and that’s only possible on a good day. It’s rugged but compared to fashionable estates, this one looks like a throwback to ten years ago. Let’s see how the car measures up against its rivals in the comparison section of our 2017 Subaru Outback Estate review. 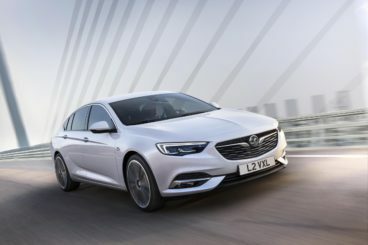 The new Vauxhall Insignia Grand Sport is a strikingly designed family car. If you’re buying purely on style, it’s basically bye bye, Subaru! The Vauxhall certainly has a premium image, but it doesn’t mind getting its hands dirty on back roads. Unlike the Subaru, it sits much closer to the road, thus ensuring that body lean isn’t an issue. Instead, the Vauxhall boasts softer suspension that absorbs lumps and bumps, ensuring that you and your family aren’t dealt too many hammer blows. The steering wheel offers plenty of feedback, and the car feels right at home on the motorway. Compared to its predecessor, the new Vauxhall Insignia Grand Sport is a much more engaged car. In terms of the engines, a turbocharged 1.5-litre 138bhp petrol engine kicks things off. As it’s a bit underpowered, we’d suggest overlooking it in favour of the 163bhp variant. A 2.0-litre turbo petrol that develops 256bhp is next up. It gets grippy four-wheel-drive as standard. It’s got a lot going for it, and does 0-62 in around 8.0 seconds – but it is expensive and returns just 32.8mpg at best. As such, it’s the niche choice. The diesels? They suit the car’s character better. The base level 1.6-litre diesel that develops 108bhp kicks things off, but the fact that it feels slower than its recorded 0-62 time of 10.9 seconds will put buyers off. However, it’s got lots of pulling power, handle steep ascents well, and returns 70.6mpg. We prefer the 2.0-litre 168bhp diesel, however. It’s ideal if you’ll be spending a lot of time on the motorway, has plenty of torque in reserve and overtakes with confidence. Its returns of 55.4mpg aren’t too bad, either. Inside, the restrained styling might not be everyone’s cup of tea, but there is a lot to love about the Vauxhall Insignia Grand Sports cabin. It looks and feels fine, everything works properly, and the frameless touchscreen infotainment system is a classy touch. 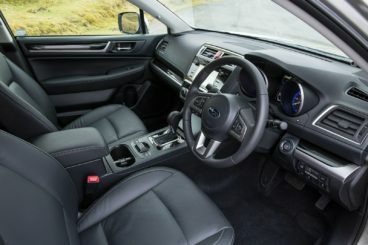 Overall quality is much better than last time – which is why it’s all the more frustrating that it’s as visually appealing as the Subaru’s cabin. Still, the seats are exceptionally comfortable, we can’t fault the ergonomics, and insulation is excellent. This is also a practical car that can seat four passengers in comfort. Headroom is better than last time but still not what it could be, legroom is outstanding, and there are plenty of assorted cubby holes here and there. The boot, meanwhile, measures 490-litres. That’s bigger than its predecessor but not as big as the Subaru. Fold the rear seats and you can increase it to 1,540-litres. The new Volvo XC60 is a commanding-looking large family car that’s as safe and secure as it looks. Volvo’s are looking better than ever – and they’re also performing better, too. More assured in looks, it’s also more assured on the road, as well as off it. 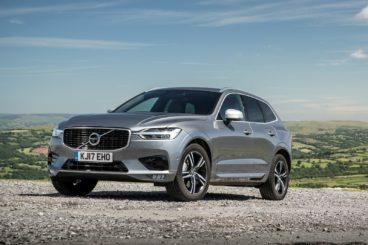 The XC60 blends performance with economy well, but don’t get too excited – it won’t be providing the type of exciting driving experience you associate with a similar-sized Jaguar. Body lean is a bit of an issue, but this can be reduced by specifying the optional adjustable suspension system. Opt for the R-Design model, and you’ll also have to cope with a harsher ride. Whichever model you go for, sticking to the comfort mode will make for a much smoother ride for you and your family. In terms of the engines, two diesels offer near identical economy (around 53mpg). As such, you’re free to choose based on speed. The 187bhp D4 does 0-62 in 8.4 seconds, while the D5 PowerPulse develops 232bhp, and covers the same sprint in just 7.2 seconds. Both come with an 8-speed auto ‘box only. A turbocharged 2.0-litre petrol engine powers the T5 model, and rockets from a standstill to 62mph in 6.8 seconds while averaging 38.7mpg economy. It’s a brisk, quiet engine – but it’s not got as much pulling power as the diesel. A T8 plug-in hybrid rounds the range off with 403bhp, a 0-62 time of 5.3 seconds and a claimed economy of 134.5mpg. If you want to turn your Volvo into a rocket ship, you can specify the Polestar package, which tops its power up to 415bhp. Inside, the Volvo XC60 blows the Subaru out of the water. Its class-leading cabin is a pleasure to sit inside. Comfort, refinement and insulation are all excellent, with the air suspension doing a great job at ironing out imperfections in the road. The XC60 gets the brands slick Tesla-inspired Sensus system infotainment screen, and we have no complaints at all where the quality of the materials is concerned. Practicality is also mostly excellent, with the only concern being the rear doors that don’t open all that wide. For parents with children, this could be a bit of an issue. That aside, the dimensions of the Volvo might not be class-leading, but the designers have used the space well. Five people should be able to sit in comfort, head, leg and shoulder room is good, and the boot measures a respectable 635-litres. Fold the rear seats, and you can extend this to 1,432-litres. 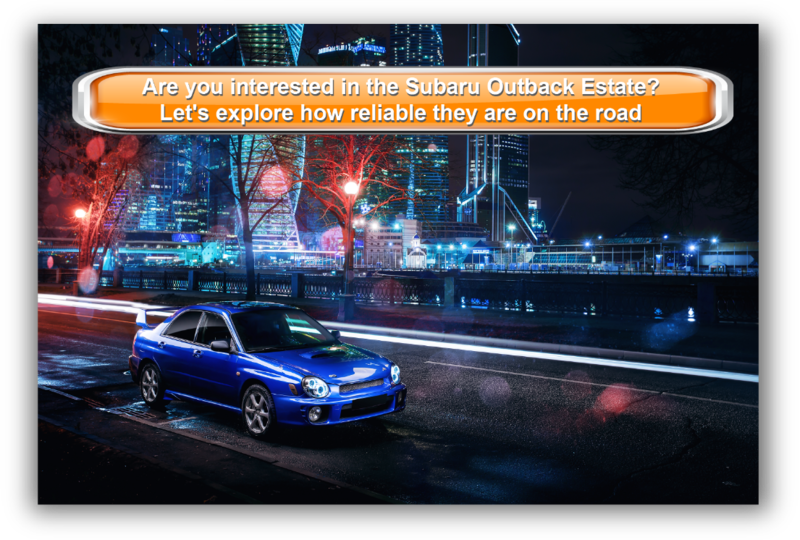 Subaru isn’t a brand you hear mentioned too often, but their loyal customers swear by the Outback. It’s a hugely competent car that’s usable, straightforward and excellent off-road. Those strengths are what you need from a car like this. If an aesthetic appeal isn’t a priority of yours, the new Subaru Outback Estate is well worth a test drive at the very least.